1. Stay away from orthopedic belts. We don’t recommend them because 1) a good pair of running shoes provide more cushioning 2) they hold in heat which shortens belt life, motor life, and electronics life 3) the increased weight of the belt shortens bearing life in the rollers. 2. Do your research and get several price quotes from several different stores. Typically, the more you deal with the various companies, the better deals they will come up with such as discounts, free product, financing specials, etc. 3. Tread carefully when buying over the Internet. Some companies, like Landice and True, will void your warranty if bought over the Internet and some have restrictions on delivery distances from an authorized dealer. If in doubt, call or email the factory. Another issue related to Internet buying is delivery. Many of us in the business know how difficult it is to ship a single treadmill or elliptical without having it damaged so deal with a company that has been doing it a long time and has already learned how to do it. Another issue to keep in mind is what you are going to do if you don’t like the machine. Most companies accept returns but the cost to ship the treadmill back to the factory can easily cost hundreds of dollars so it is quite an expensive trial test if the machine is returned. Also curbside delivery literally means what it says…the trucking company will sit it on the curb and it’s your problem to get it into the house, so either pay for inside delivery or have help ready. Another issue is service…some internet companies have good service networks and others don’t but remember that you probably won’t get the type of personalized service you should expect from a local dealer. 4. Do take care of your treadmills. Whether they require quite a bit or little maintenance, keeping the treadmill or elliptical clean and the walking belt lubricated on the treadmill can be the difference between having a great treadmill or a money pit. Refer to our Treadmill or Elliptical Care Pamphlet for maintenance instructions. 5. If you are considering used machines, really do you homework, and then do it again. We do rebuilding jobs for local health clubs all the time and do this work occasionally for people who are buying health club models for the home but to do it right costs quite a bit and if someone is telling you they have a used or rebuilt at an amazing price, you typically aren’t getting the entire story. 6. Since buying a treadmill is a huge investment for most people, choose your dealer and factory carefully. As with any product, a brand new company may not be around in a few years, parts can be very specific to machines and spares may not be available if the factory isn’t around. A dealer for a reputation for high quality and personalized service is necessary for some people. Other people feel confident in servicing their own equipment, so figure out which one you are and buy accordingly. If you know one end of a wrench from the other, you might want to save a few dollars with an Internet purchase. Others may need to pay for the full-service price you should get from a local dealer but if you pay the higher price, demand the higher service level. 8. A great final tip is if you want to save a bit of money. 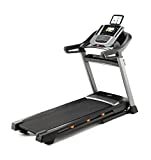 Due to the influence of Asian parts, the lower end treadmills and ellipticals are getting better and better while the price is holding the line and the ones being made today in the $800 range are much better than the $800 machines made 10 years ago. If you need to save a few bucks and your doctor says it is OK, use a few degrees of incline always when you use your machine. If the machine is well maintained and if you use a bit of incline (on the treadmill), you can get by with a bit less of a machine than you might otherwise need. The incline allows gravity to take over quite a bit of the workload from the drive system. A treadmill used with just a slight incline will last much longer than a comparably cared for treadmill that is used at a flat level. Get more results in less time with the Weslo Cadence G 5.9 Treadmill. Featuring 6 Personal Trainer Workouts, a 2-position manual incline and Comfort Cell Cushioning, this treadmill is the perfect tool for losing weight or increasing performance. Each workout is designed by a Certified Personal Trainer so you can maximize your time and get a great workout! The incline is easy to change and will increase the intensity of your workout. And, with the addition of Comfort Cell Cushioning, you’ll stay comfortable throughout each stride. The Weslo Cadence G 5.9 Treadmill is right for you. Get an accurate heart rate reading by simply placing your thumb on the Easy Pulse sensor that is built right into the console. Track your workout results with this easy-to-read blue-tinted LCD with Priority Display. This display tracks your speed, time, distance and calories burned so you can monitor your progress throughout your workout. Reduce stress on your joints and increase workout comfort with this unique treadmill deck, designed with a layer of cushioning for maximum stride impact absorption. Burn fat, lose weight and stay motivated with Personal Trainer Workouts. These programs take the guesswork out of your workout by automatically adjusting the speed and incline of the treadmill for increased intensity. 0 – 12% incline with the touch of a button, you can quickly adjust your incline anywhere from 0 percent to 15 percent to change your workout intensity and add variety to your training. Get professional training with 32 preloaded workouts designed by Certified personal trainers. Choose from calorie, heart rate Control, incline, and speed workout programs. 0 – 12 MPH SPEED. iFit is a revolutionary fitness brand that allows you to maximize your exercise with limitless training options. Run anywhere in the world with Google Maps, get daily workouts, access HD video training programs, compete with friends, record your stats, and much more! Powered by iFit, the 7 inch, full-color touchscreen allows you to create custom Google Maps training routes anywhere in the world. iFit will automatically display the Street View of your course on the screen. The touchscreen is Web-enabled so you can also go online while you work out. With a 3.0 continuous horsepower motor, the C 990 is capable of taking your workout up to a 12-percent incline to help you burn more calories. When you create a Google Maps training route, iFit will automatically adjust your incline to simulate the natural terrain. This 20-by-60-inch tread belt is padded with FlexSelect cushioning which adjusts to your preference. A half turn of a knob activates the cushion, while another half turn offers a firm surface that feels like running on the road for those Google Maps routes on iFit. The C 990 Treadmill comes guaranteed with a lifetime frame and motor warranty, a 3-year parts warranty, and a 1-year labor warranty. Elliptical trainers provide a great cardio vascular workout but is low impact. That is there is less pressure, which is put on the joints of the legs. Thus it’s not as strenuous as a treadmill. Therefore they are ideal for all age groups. Those in there 60s and 70s, who want to keep fit, can also easily use them. There are many versions, and options of elliptical trainers that are available in the market. The cost for an elliptical trainer starts at $300 and can cost up to $3000 dependent upon the functions and the features of the elliptical trainer. To consider an elliptical trainer, one must make sure that it has a 21″ stride. This length is ideal for an average person. There are many elliptical trainers that also come with a 14″ stride. These are the foldable elliptical trainers, but can be quite inconvenient. Thus before you actually purchase one, look at reviews of the elliptical trainers and compare the various elliptical trainers that are available in the market. The comparison is done on the basis of cost, the type of material used, the stride length, the functions and the control panel. Of course it will depend on your personal preferences but the above criteria are a good starting point when selecting your first elliptical trainer. Experience the Perfection of Performance Cardio. Designed for Versatility: For the Walker, Jogger, and Runner in Us All .Built on 30 years of fitness engineering and technology, the ProForm Pro 2000 Treadmill is designed to burn more calories, improve real-road conditioning, and boost cardio endurance. So your health, your family, and your home get exactly what they need. Focus on cardio heart health when you work out at faster speeds. This treadmill has a speed range up to 12 miles per hour—that’s a 5-minute mile pace. Speed training coupled with the included wireless heart rate chest strap maximizes the impact of your time and effort. So whether you’re a walker, jogger, or runner, the Pro 2000 gets your heart pumping. Improve performance when you train for your next race at our 3-percent decline range. Now you can prep your legs for the downhill as well as the uphill. Enjoy fresh workouts every day with iFit Coach technology. The extensive fitness library gives you unlimited workouts like the 30-Day Fresh Start for Treadmills or 60-Day Weight Loss—keeping you motivated to come back day after day. If you’re feeling creative, draw your own scenic route via Google Maps and iFit will map your workout and send it to your treadmill. Or select from our pre-programmed routes like Backpack Europe or Tour of Asia. Your deck will adjust to mimic the terrain and your legs will feel every hill or valley along your route. Note: Access iFit account from computer, tablet, or smartphone. Requires membership, sold separately. Trademarks and trade names are those of their respective owners. Google Maps is a trademark of Google, Inc. Syncing iFit account from tablet to machine currently on Android and iOS tablets only. Tablet not included. Built on 30 years of fitness engineering and technology, the ProForm Pro 2000 is designed to burn more calories, improve real-road conditioning, and boost cardio endurance. So your health, your family, and your home get exactly what they need. 1. Sport is for professionals. This idea applies only in the case of performance sports. The native qualities required for professional sportsmen (speed, skills, specific height, etc.) can only be developed, they can’t be formed by training. As long as the aim of a regular person is not performance, almost all sports can be practiced for keeping the body in a good shape. It’s all about dosing the training you chose, so that the benefits are bigger than wear and tear. Even the sports considered tough can be practiced in a ‘soft’ way (tae-bo, mini-triathlon, jogging, etc.). 2. Training is tiring. This idea is true as long as it refers to consuming all your energy (muscular and hepatic glycogen), but it doesn’t mean that training gets you into that state of exhaustion which would slow down the process of recovery of the body. Even in performance sports, the purpose is to have rather effective than exhausting training, so that the body can get the stimulation necessary to qualitative progress from one training to the next. Even more than in other sports, in fitness the sportsman is spared overexerting. However, the training must not become ineffective. People can come to the gym tired after a work day and leave relaxed (physically and psychologically) and not more tired. This is extremely useful for people with sedentary jobs, but also for those who make physical effort at work. They could use the training by choosing a type of effort meant to compensate the one involved in their job. 3. Training takes too long. Again, this idea is true if applied to performance, which can only be obtained by working a lot. But also in this case short and very intense training or training for relaxation and recovery are often performed. In fitness, you can get to 20-minute training, working only super-series of fast exercises, which could involve, directly or indirectly, all the muscles. Anyway, regular training shouldn’t take longer than an hour and a half. Otherwise, the body will get into the catabolic faze, when the cortisone secretions ‘cannibalize’ the muscles. 5. You’re older? No more exercises! This is true only if we refer to extremely demanding efforts (really heavy weights, fast running, jumping, etc.). There are lots of exercises adapted to different ages. Their purpose is to keep and improve health and also to improve physical shape. The development of movement parameters for older people refers especially to muscular and cardio-vascular resistance as well as mobility of the joints. Because the final purpose of training is not preparing for a competition, the exercises can be organized gradually according to their difficulty, eliminating the risk of accidents. Because it’s based on perseverance, fitness can be adapted without problems for older people and even for people suffering from different affections specific to old age. Have you ever looked at a elliptical trainer review? If you have you can see that they cover a great deal of information, usually focusing on key points within their elliptical trainer review. 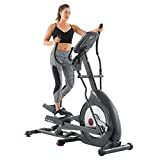 However, sometimes you can read one elliptical trainer review about one elliptical machine, and then later on come across another elliptical trainer review about the same product, yet the two elliptical trainer reviews are completely different. This may puzzle some people about how the elliptical trainer review of a product can be so different when they are reviewing the same product that another critique is looking at. There are several reasons why elliptical trainer reviews can come out so differently. We will cover these reasons and show you the key elements that help form a proper elliptical trainer review. You may even be surprised as to how elliptical trainer reviews are scored. One part of a elliptical trainer review is the price. The prices of the actual machine play a big factor into the elliptical trainer review of the machine. The price price ranges are categorized into economy buys, mid-priced buys, and then commercial grade elliptical machines. Now a elliptical trainer reviews results only compare the products that fit into these three price ranges. 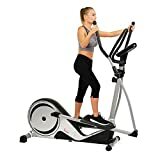 So if you have a elliptical trainer review for a machine in the economy buys, that has a “best buy” rating with five stars, versus a elliptical trainer review of a machine in commercial grade elliptical machines, with a four star rating, the elliptical machine with the five stars does not mean it is better then the elliptical machine with four stars. All it means is that the five star machine was judged against all of the other elliptical machines within its class to form the results for the elliptical trainer review and rating. This is a major mistake that many consumers make when they read elliptical trainer reviews and look at the ratings. Each reviewer and expert has certain criteria that they use to rate the machine and use that in their elliptical trainer review. Some experts may value the machines warranty more then they value the machines features when making the final assessments of their elliptical trainer review. Other experts may find more value in the price, then they do quality of the machine to form a final analysis for their elliptical trainer review. So when you read reviews, you must understand what the values of the reviewer are, because they may judge certain aspects of the machine in a different way then you might. By understanding how a elliptical trainer review works and how different outcomes of the same product can occur, you can now understand how to look at reviews differently. Remember that there are trusted sources that write reliable elliptical trainer reviews. Do n to fall for a review from a company that may be just writing a review for their own personal gain. Oh treadmill, how I love thee. I can always depend on my treadmill to achieve weight loss and muscle tone. I have had a couple of different treadmills through the years and I have always been able to attain my goals with this outstanding piece of equipment. I have gone from a dedicated runner, to couch potato, to overweight and back and the only variable that did not work all the time was me! There is a reason the first piece of equipment you see on “Biggest Loser” is a treadmill, or why there is a line at the gym waiting for this coveted piece of equipment. They work! The act of running itself is fantastic, but with running you have many variables, (i.e. rain, potholes, stranger danger, and the occasional scary animal). Many people associate running with injuries and joint issues, and unfortunately this can be true of running outside due to the high impact on your joints and muscles. With a treadmill, you are able to take all of those variables away, and still have the purest form of cardiovascular exercise in your own home. Running on a treadmill allows you to control your environment with cushioned and flat running surface. Treadmills also are able to accommodate any fitness level from the first day you begin, to training for a 5k. There is no learning curve involved at any time with exercising on a treadmill. That fact alone makes this a perfect machine. Many people will get frustrated quickly with a piece of equipment they are uncomfortable or unable to use. On a treadmill, all you must do is walk and you are “working out”. No need for a trainer, instructions, or nerves. In my personal experience, I have become to depend on my treadmill almost as much as my Doctor. I am able to lower my blood pressure, heighten my lung capacity, tone and build muscles, lose weight, and motivate myself to move. When you are ready to make this wise investment, there are a few pointers to consider when purchasing a treadmill. It is always a good idea to talk to a friend or relative about their treadmill, and what they like and don’t about the features they have on their home or commercial equipment. Also, go to several gyms and fitness stores and actually walk or run on several of the treadmills available to get a true feel for the structure and performance of each piece of equipment. Listed below are the top 10 questions you need to ask yourself and a sales person prior to choosing the perfect treadmill for you. 1. What Kind of Weight capacity does the treadmill offer? 2. What type of features are you interested in for your workouts? Are you interested in a heart rate monitor? Do you need different workout programs to vary your workouts? 3. What kind of space are you willing to allot for storage? Do you need to be able to fold the equipment, or can you have a traditional style. 4. What is the speed on the treadmill? How fast and slow does the machine move, and what is the speed that you require? 5. What type of warranty does the treadmill offer, and what type of ongoing maintenance does it need? 6. What is the “continuous duty” of the treadmill? You really need to look for a 1.5 to 2.5 HP to insure you are getting a solid motor. 7. What price are you willing to pay for a treadmill? 8. Noise, do you need a quite model due to children in home, or a sleeping spouse? Do you want to hear a TV over the sound of the treadmill? DC motors are usually the more quite option. 10. Is there a safety key, or an emergency shut off? If you have children this is an important option to have available. All of these questions, if answered correctly by you and your salesperson, will begin a beautiful relationship with the right treadmill. You have always wanted to find out about, or possibly enhance your current knowledge of fitness and have scoured the Internet for information to help you. The tips and tricks we provide in this article, when followed as suggested, should help you to either improve on what you have already done or help you start off well. Make your exercise safer and more comfortable by choosing shoes with a proper fit. Before working out, check to be sure that your shoes fit well. There is always some size variation between brands, so one type of shoe may run bigger or smaller than another. You should have ample room for your toes, but no so much that your foot is able to slide around freely. If you want to get better results from your fitness routine, measure your progress — literally. When you need motivation for a goal, pick something related to the goal for which you can track statistics, like your body fat, your waist size or the distance you can comfortably run. Take measurements regularly and write them down, so you can quantify exactly how close you are to your goal. This technique has been shown to improve motivation, as it helps people believe in the reality of their accomplishments. To get the most benefit out of your strength training, incorporate stretches into your routine. At least one scientific study suggests that if you pause after training your muscles and spend 20-30 seconds stretching out whatever muscle (or set of muscles) it is you’ve been working, this will increase your strength. Try your best to push yourself every time you work out. Your body gets used to the same workout regimen over and over so try to switch it up and push yourself each time. Try to work out different areas of the body so you let others rest while building other areas. To become more limber, hold stretches for at least 60 seconds. Stretching your muscles longer helps them to become more pliable. Try holding a stretch as long as you can without it being painful. After just a few days, you should notice an increase in flexibility. Be sure to stretch your body all over for the best results. You can increase the quality of your arm curls simply by using your workout towel as part of your sets. Wrap the dry towel all the way around the bar, make sure that you have a firm grip, then perform your reps and sets as usual. By increasing the thickness of the bar itself, you are making your forearm muscles work even more than usual. To summarize, there is quite a bit to learn about fitness. Do not be overwhelmed though, because there is a lot to take in. Depending on your situation, either your continued success or the start of a new challenge is dependent solely on your willingness to learn and the personal commitment that you invest.